See people and opportunities clearly using ArcGIS Business Analyst. Through desktop, web, and mobile apps, ArcGIS Business Analyst provides location-based intelligence for planning, site selection, and customer segmentation. Combine demographic, lifestyle, and spending data with map-based analytics for accurate reports and dynamic presentations. Work for ArcGIS Business Analyst? Learning about ArcGIS Business Analyst? "Used for suitability analysis, and optimizing retail network"
I personally utilize the spatial overlay function, as a way to enrich my Postal-specific geographies, develop trade areas, and determine what type of facility should exist where. Unfortunately, my organization only maintains a few BA licenses. As one of the most heavy users, it's unfortunate to only be able to access when available through a VM. Have a very well-defined workflow in mind when using to develop trade areas. Use the COTS capabilities as a starting guide to generate your own tool, specific to your goal to make the most informed decisions. I utilize trade area development, business listings, derive new locations, and several others regularly to develop a new network in accord with demographic trends. "Business Analyst is great for US Census-based data - not for specific geographic regions"
I like the array of information Business Analyst Online will give users looking for quick reports and the regions you are able to select/make. I dislike that within drawn or selected regions around a US Census-based block group, etc. the market data are given in reports in innacurate and doesn't show the exact locations selected. Create reports using US Census group data; not data from creating your own polygon shapefiles for reports. The reports are easy to use and easy to take numbers from for other reporting. What Location Intelligence solution do you use? I enjoy how easy it is to figure out, as well as the customer service help if needed. Also it provides many data points that most other programs do not have access to. I dislike the lack of information when it comes to where they are getting their data. I understand when some of it is census based, but for the other components I would like to know more. 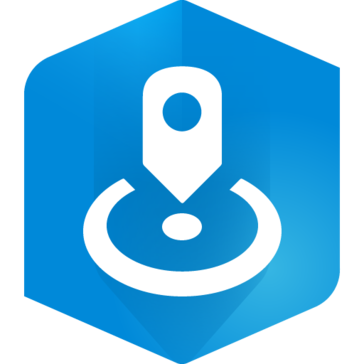 ArcGIS makes it very easy to view maps and spatial data. It is easy to create meaningful, and visually appealing infographics, which is important for us in presenting data we acquire. Every once in a while, I come across small bugs and glitches - nothing that restarting the computer can't fix. ArcGIS helps us in validating acquired data with public record data online, i.e. address, legal description, acreage. It helps us add a visual to our data. I like being able to inter-related different datasources in order to see a complete picture. This allows for data-driven decision making. * We monitor all ArcGIS Business Analyst reviews to prevent fraudulent reviews and keep review quality high. We do not post reviews by company employees or direct competitors. Validated reviews require the user to submit a screenshot of the product containing their user ID, in order to verify a user is an actual user of the product. Hi there! Are you looking to implement a solution like ArcGIS Business Analyst?